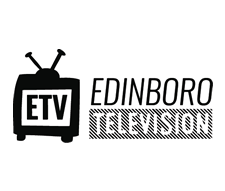 Coming off a difficult loss this past Saturday against Clarion, Edinboro had a lot to prove, both to themselves and the fans in terms of their ability to contend in the PSAC conference. There was no question that after this game, some minds were changed. The result, 82-50, Fighting Scots topping Seton Hill, dominating every facet of the game, from rebounding to three point shooting. 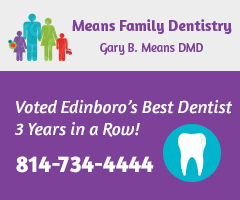 Balance has proven to be a great asset with this Edinboro team and they showed it on Monday. Four of Edinboro’s scorers would reach double figures, not including forward Cheniya Sharpe, who was a black hole on the offensive glass. She was two points short of a double-double, which would of went along with her 16 rebounds (8 of which were on the offensive end). Whether she was creating space under the basket, or chasing down loose balls, Shape followed up her impressive game against Clarion with another Monday. The game’s leading scorer and key to their smooth night was 5-foot-5-inch reserve guard Jontay Walton, whose aggressiveness and moxy going to the basket opened up the court for offensive rebounds. Walton looked for contact, worked her way to the line, and finished through contact. During a secondhalf drive into the paint, Walton finished at the basket through contact for a foul, lifting her teammates off the bench as they celebrated. The first quarter remained close, but it was obvious early on that precise passing and putting pressure on the paint would be Edinboro’s meal ticket. Between Ciara Rosten, Maggie Moore and Sharpe, defensive rebounding wasn’t easy for the Griffins. They made everything difficult, stripping the ball from their opponents and fighting for every ball. Rosten’s inside scoring was key in the first half. She was active in the first quarter and started the second with back-to-back shots, kicking off an Edinboro run that would catapult them into the victory. Big to big passing also played an essential role for the Scots; Rosten, who worked both the elbow and the block, was constantly looking for her teammates, as was the other forwards on the roster for deep positioning and high percentage looks. Some difficulty scoring towards the end of the first half was easily ignored because of the constricting defense on the other end. Between the size advantage and ability to strip the ball from opponents, whether it resulted in a steal or not, kept Seton Hill scrambling for a consistent offensive attack. The Scots kept rolling through the second half with senior guard Katie Fischer helping lead the way with her eight assists, controlling of the rhythm of the game. On a specific possession towards the end of the game, consecutive offensive rebounds and defensive fouls gave the Scots three total possessions where Fisher smartly (with the advice of head coach Stan Swank) got the ball back to the top of the key and ran through their offense rather than force up any contested jumpers early in the shot clock. 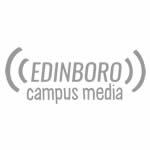 Entering the fourth quarter with a 26-point lead, it was evident that the size and sheer speed that Edinboro had on that night was too much for the Griffins to deal with. A deep rotation from assistant Callie Wheeler and Swank finished off the game with style, continuing to extend the lead. Michael Lantinen is the sports editor for The Spectator and can be reached at sports.spectator@gmail.com.